NB Sell your Vintage and modern Silver jewellery. We are now paying above scrap for silver rings! You may be looking to sell silver jewellery in one form or another, whether antique or modern, broken or otherwise. As Silver jewellery Buyers we are seeking to buy all types of silver jewellery, with and without stones, including rings, bracelets, bangles, necklaces, chains, pendants and earrings and we will pay you full weight for silver jewellery items with stones. NB Never sell your silver jewellery to any vintage cash company that does not show on their website the price they actually offer, you will be scammed! Please read further. Make no mistake, if you are thinking of selling your unwanted gold and silver, this is still a good time to do so. many jewellers up and down the country are advising customers that goldf and silver prices are now low, but this simply is not the case .Where is the best place to sell silver and antique silver jewellery? Who pays the best price for silver jewellery? At the Birmingham Gold and Silver Companies we pay up to twice what local jewellers and dealers pay for silver jewellery. You may be tempted to send your silver jewellery to vintage cash for silver buying companies that advertise heavily online. NB We have heard that they offer well below scrap for silver jewellery even though they go to great lengths to pretend that they pay more They do not. Not only that, they do not even advertise the price they pay for items whereas our online calculator is clear and transparent. We have heard many horror stories about the poor offers these vintage cash companies offer even with their fancy literature. 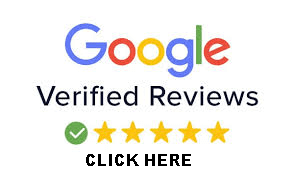 Check out their name at Money saving Expert for example and as for reviews, they use companies like Trustpilot, and can remove negative reviews especially those relating to the poor cash offers made for silver jewellery. 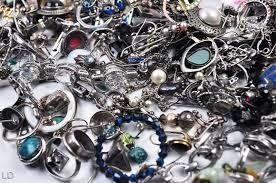 Sell your Silver Jewellery To Us For More Than Scrap. We pay a high scrap price for all types of Silver Jewellery, however as from the 11/02/2019 we have a new tab on our calculator drop-down box and can now offer you MORE FOR SILVER RINGS,. OBVIOUSLY WEIGHT WILL STILL BE DEDUCTED FOR STONES BUT WE ARE OFFERING OVER 20% MORE FOR VINTAGE AND MODERN SILVER RINGS AS LONG AS THEY ARE UNDAMAGED AND WITH NO STONES MISSING. 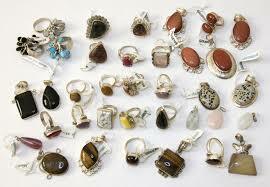 This is, we believe the best offer in the Uk for old Silver rings. "My Item is not Scrap!" NB we do not pay gold or silver price for springs, wire, stones, and metal in your Gold or Silver . We will deduct a fair weight for all non-gold /silver metal in your items in-line with industry practice. remember there are springs in clasps, wuite wires in bangles as gold and silver is not flexible. Your gold and silver items might also have stones. we do offer good diamond prices for diamonds above 25 points. For more information on how to sell silver to us please read our sell silver page here.